As a child, I enjoyed burying my nose deep in books. So deep, in fact, that it was hard for anyone to dig me out – or direct my attention somewhere else! That is what good stories did for me, and what they will do for your audience, too. Good, uplifting stories fill our minds; capture our imagination; cradle our hearts – sometimes for hours on end (and more)! Now, as an adult, I never hesitate to dip myself into the vast ocean of stories around us. In books and in movies – stories abound. More than anything, I love untangling the emotional, human core of people’s stories. It was, in fact, my love of stories that shaped the course of my life. Years ago – after completing a theology degree – I worked as a pastor for some time. Soon enough, I would gain a reputation as a fascinating, entertaining, and engaging speaker. Indeed, people were so interested to hear me speak that I always filled the church to capacity. Needless to say, this was quite an achievement in a place like Sweden! AND WE ALL HAVE STORIES TO TELL! It was this fascination with storytelling and sincere, human communication that inspired me to complete a Master’s degree in Applied Cultural Analysis, MACA, at Lund University in Sweden. This sparked my decision to integrate everything I learned in my degree program – as well as my previous experiences and knowledge base – and become a specialist in the “How to” business of crafting stories for effective, strategic business communication. My hands-on, practical experience in Target Group Based Development underpins the core of my work in developing methods for strategic story analysis and skills for branding and communication. Suffice it to say that – for me, at least – it was an easy segue from the pulpit to high-performance business training! I’m a speaker. I’m a consultant. But, more than these labels, I’m someone who knows how to encourage, inspire, and empower business leaders and entrepreneurs. I’ll give you the guidance you need – both theory and practice – to master the art of storytelling strategic, corporate, and personal branding. 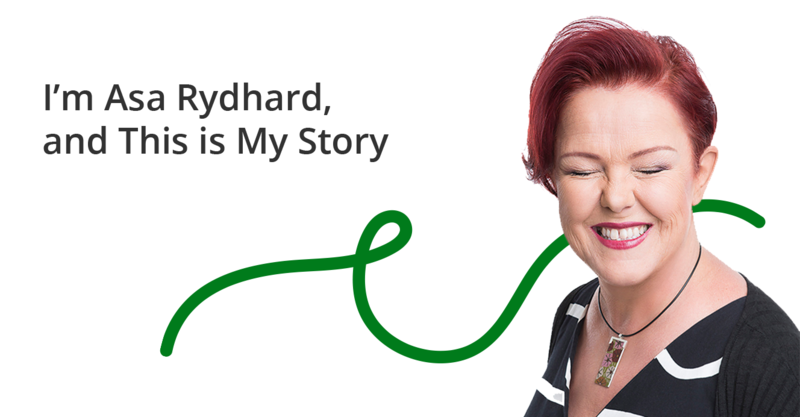 So whether you’re seeking to capture the attention of web visitors – or if you’re pitching a complicated service to clients, and want to engage them with conviction – I empower you to Rock Your Story! I was attending your workshop in Lund and I really enjoyed it. You were very entertaining but at the same time you also had a message that you did deliver.